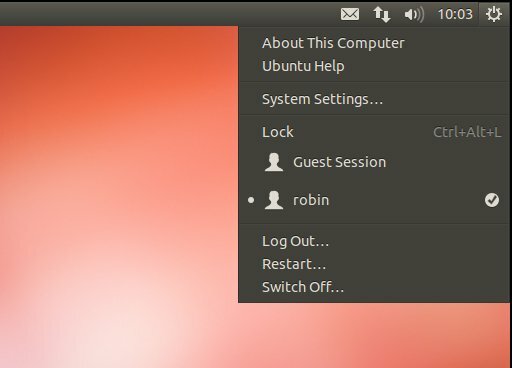 Amongst the changes for 12.10 showing in the Alpha-3 release, the Ubuntu "Me" and "System" menus have been combined to create a new Session Menu. Your name display is gone as a space-saving improvement (Ubuntu assumes you know who you are and as whom you have signed in. This is all part of the de-cluttering of the user experience and for most people (the 200 million targeted new users) this should be fine. For the rest of us, you just have to drop into the System Settings pane to see just how many settings are no longer available.